The Pfhorums • View topic - Forge in Sheepshaver/Basilisk II? 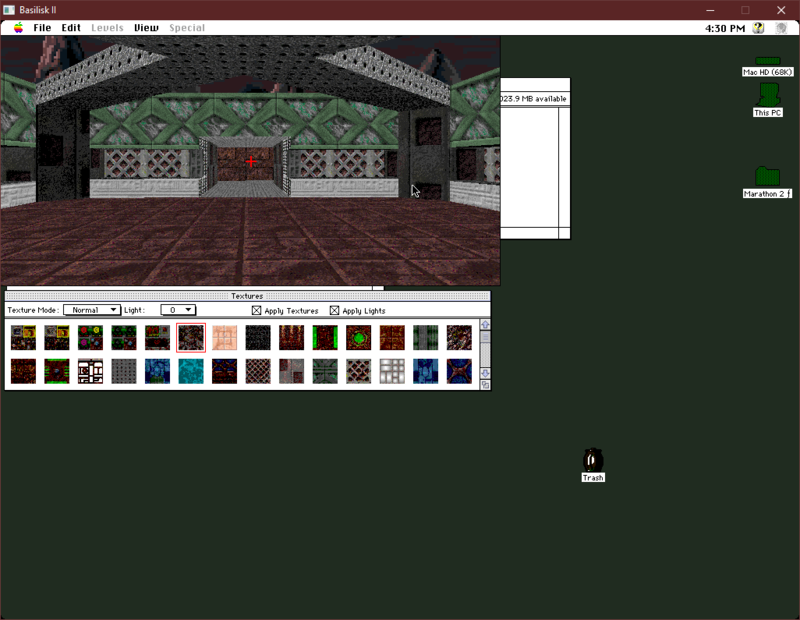 Board index ‹ Content Creation ‹ Mapping ‹ Forge in Sheepshaver/Basilisk II? Has anyone ever gotten Forge to work in SheepShaver/Basilisk II? Works fine for me in Basillisk II. I see the error you're talking about in Forge 1.0.3, but I just click OK and it continues working. In Forge 1.0.4, I don't get the error. If it's any help, I have BII set to emulate a Quadra 900 w/68040 & 128MB RAM, ignore illegal memory accesses, dynamic refresh rate. Running Mac OS 8.1 with all the networking extensions off. Host machine runs Debian Jessie.